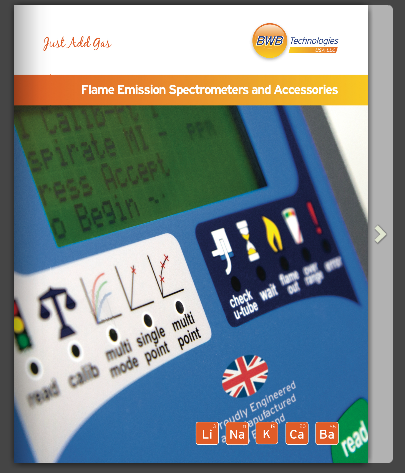 We are the exclusive distributor of BWB Flame Photometers in the USA and Canada. It has long been our mission to redefine the boundaries of Flame Emission Spectroscopy. With a product that delivers unsurpassed performance and our team of experts available 24/7 for technical support, the BWB Flame Photometers do just that...just add gas. Return PolicyBWB offers a no-quibble market leading warranty for our full-range of flame photometers and accessories. For our customers in the United States and Canada, the BWB Warranty is administered by experts in the United States. The BWB warranty provides you with the following product protection​. Covers all parts and labor as well as technical assistance for 12 months, Extended warranty options available.